There are no current Rising Strong™ groups open. *​Click here to get an email when future Daring Way™ Facilitated events and/or groups are announced! Do you ever not do things because you worry about failing? Have you ever failed at something or had something bad happen in your life and you have felt guilt, grief, embarrassment, or shame? Has it made you not want to share or risk again? ​Or do you often find yourself either shutting down or lashing out and not knowing why or how to stop it, or dealing with people in your life who do those things? Have you experienced a loss or something hard that has affected your sense of self and the world? Do you often tell yourself stories that prevent you from being fully present in relationships or your life? The Rising Strong™ curriculum is about what it takes to get back up and how owning our stories of struggle gives us the power to write a daring new ending. Do I have to have experienced something recently that I want to rise strongly from? Absolutely not. 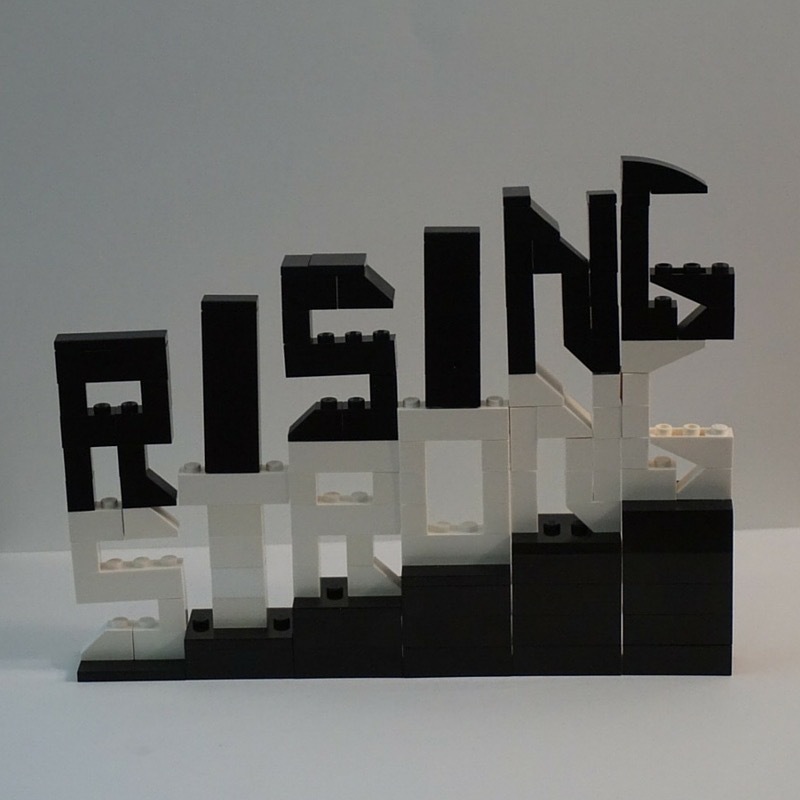 The Rising Strong™ process is a tool you can use to help you with the ups and downs of regular life. Nothing is too small or too big. Hopefully it will also help you understand and communicate more with others. I use it on a regular basis and the emotional vocabulary has been so helpful to me. I am offering some make-up times as I don't want you to miss out on any of the videos or direction for your workbook. September 15th and October 20th from 12:15-12:45pm are the make-up times but contact me if still needed. Do I have to pay for the whole course at one time? How many other groups have you facilitated? 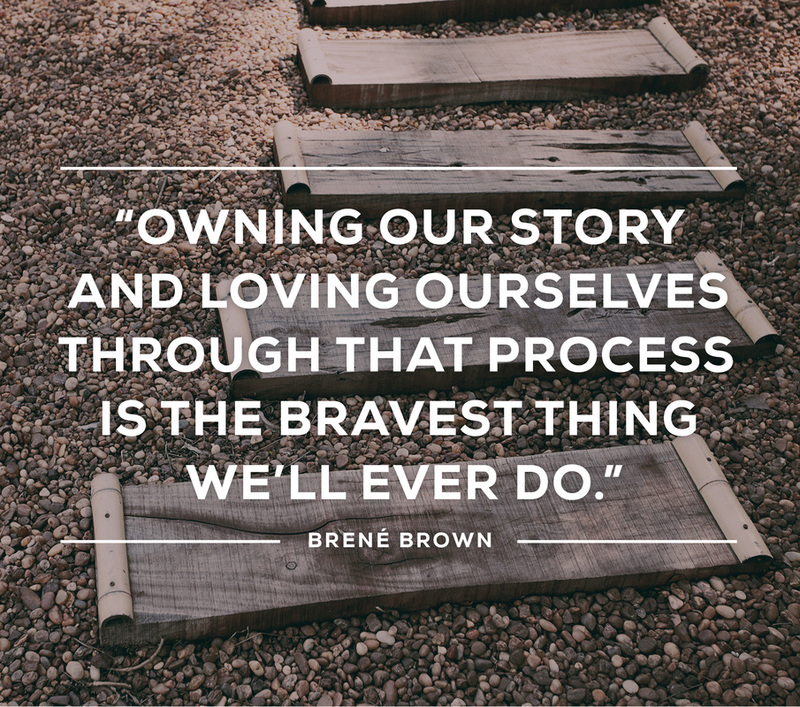 Brené Brown has different courses for each of her three books. I have facilitated The Gifts of Imperfection (WholeheARTed art journaling) three times (once for adolescents), Daring Greatly™ twice (once for adolescents), and Rising Strong™ once. I also regularly use the curriculum with my individual psychotherapy clients. What is the workbook like? ​What if I still have questions or concerns? "While vulnerability is the birthplace of many of the fulfilling experiences we long for — love, belonging, joy, creativity, and trust, to name a few — the process of regaining our emotional footing in the midst of struggle is where our courage is tested and our values are forged. Rising strong after a fall is how we cultivate wholeheartedness in our lives; it’s the process that teaches us the most about who we are." "The most transformative and resilient leaders that I’ve worked with over the course of my career have three things in common: First, they recognize the central role that relationships and story play in culture and strategy, and they stay curious about their own emotions, thoughts, and behaviors. Second, they understand and stay curious about how emotions, thoughts, and behaviors are connected in the people they lead, and how those factors affect relationships and perception. And, third, they have the ability and willingness to lean in to discomfort and vulnerability."